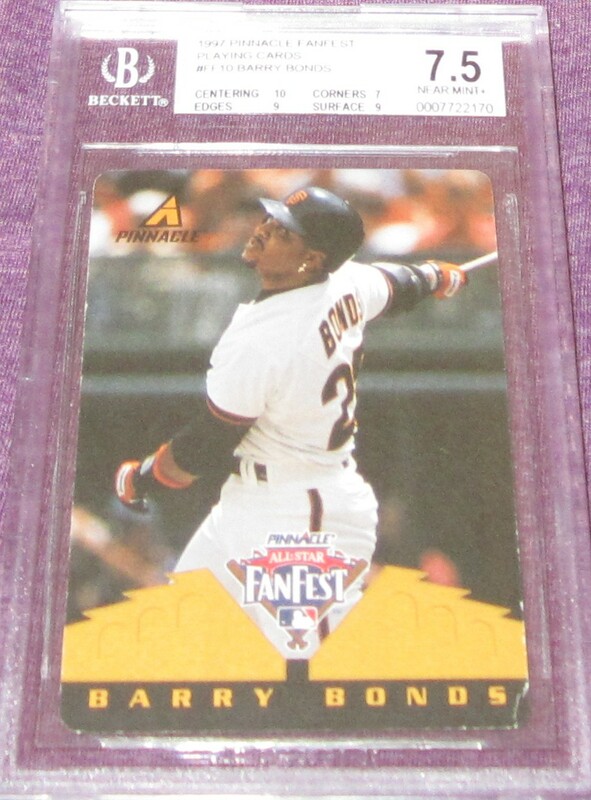 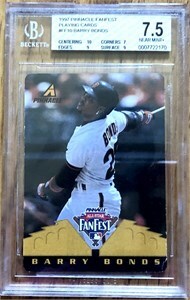 Barry Bonds 1997 Pinnacle All-Star FanFest PLAYING CARD distributed in extremely limited quantities at the event in Cleveland, BGS graded 7.5 (NrMt++) by Beckett Grading Services. 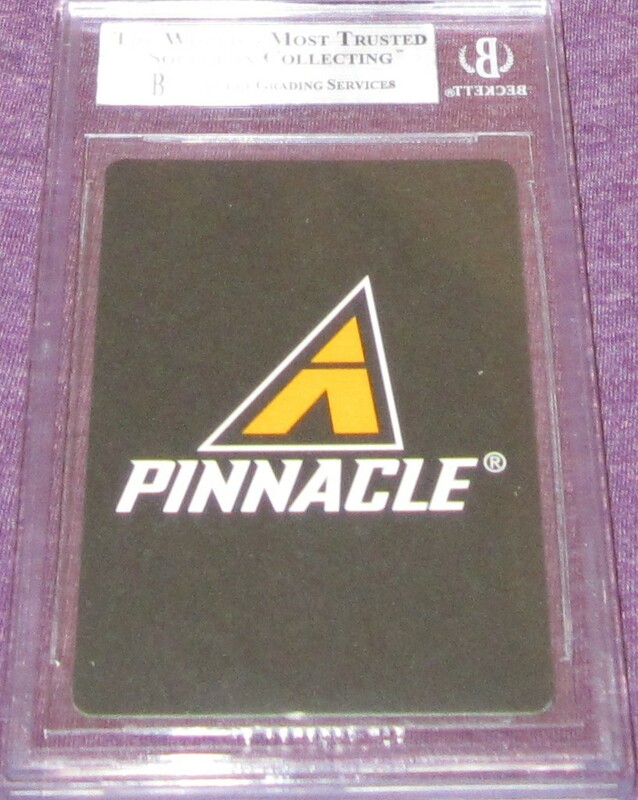 These standard size cards, possibly test or prototypes, are so rare that they are not listed in the Beckett Almanac or any other price guide. 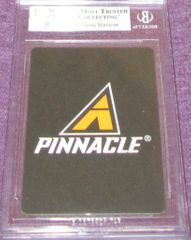 They have the same design and photos as the regular card set distributed at FanFest, but these playing cards are not UV coated or foil embossed, have rounded corners and an unnumbered back with the Pinnacle logo.